Prospective Kensington development sites continue to drift toward higher density residential outcomes. 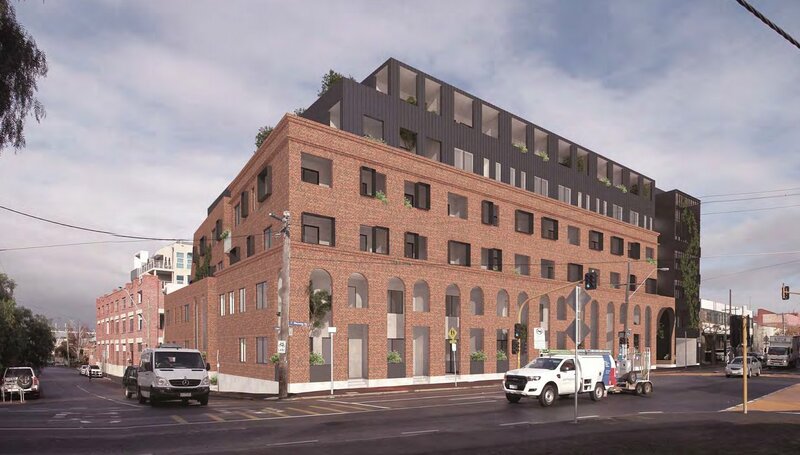 The latest to do so is Naser Group's 347-367 Macaulay Road which is now at planning, with the developer hoping to create 55 overly large two and three bedroom apartments within a new C-shaped, six-storey building. 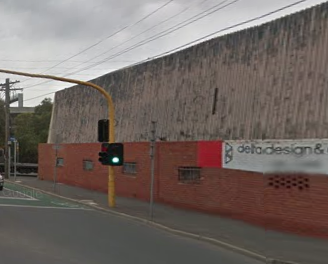 The site itself is currently home to an ordinary single storey warehouse which abuts the mid-rise Kensington Warehouse Apartments complex to the south. Designed by Pitch Architecture + Developments, 347-367 Macaulay Road draws heavily upon the area's brick warehouse heritage, which is evident across the design's lower levels. Grimbos Building surveyors is also associated with the project. Received by City of Melbourne during August, Pitch Architecture + Developments refer to the project as Sky House on their website, perhaps indicating the name that the project will carry down the track. 347-367 Macaulay Road is the latest project for Naser Group Property, who's director Mohammed Naser is also director of Nascon Group. Combined the two property entities have developed a string of apartment projects across Melbourne. 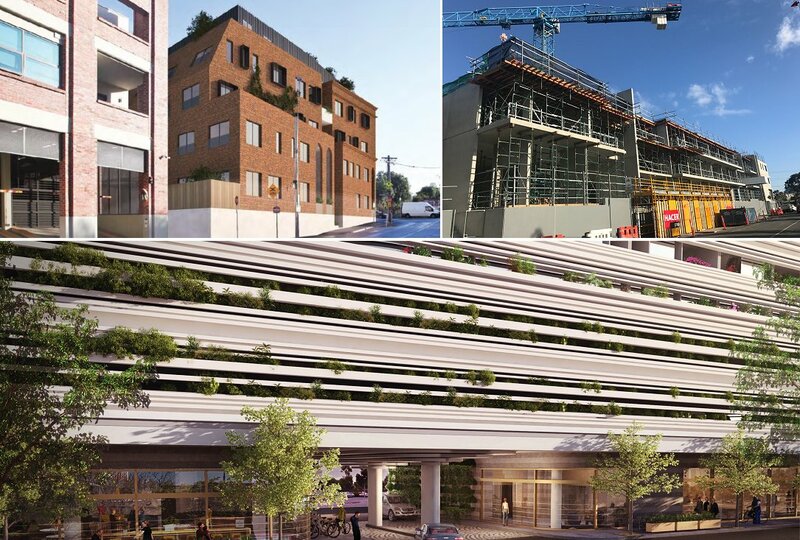 Most recently completed was Ivanhoe's The Orchard which holds 39 apartments, with Fitzroy North's Fitz & Co and Moore Apartments in Moonee Ponds both currently under construction. After a long stint at planning Nascon Group also successfully gained a mid-2017 permit to develop an 88-apartment, Artisan Architects-designed tower in the heart of Heidelberg. 347-367 Macaulay Road adds to the Naser Group/Nascon Group stable, but distinguishes itself by intending to add larger than average apartments to Kensington. Smallest sized apartments within the proposal begin at 73sqm internal, with the largest loft apartment covering 162sqm of internal space. Kensington is not flush with development sites, but certain pockets are lending themselves to redevelopment. Traditionally a light commercial and/or industrial stronghold, the area surrounding 347-367 Macaulay Road is receiving increased apartment-based proposals. 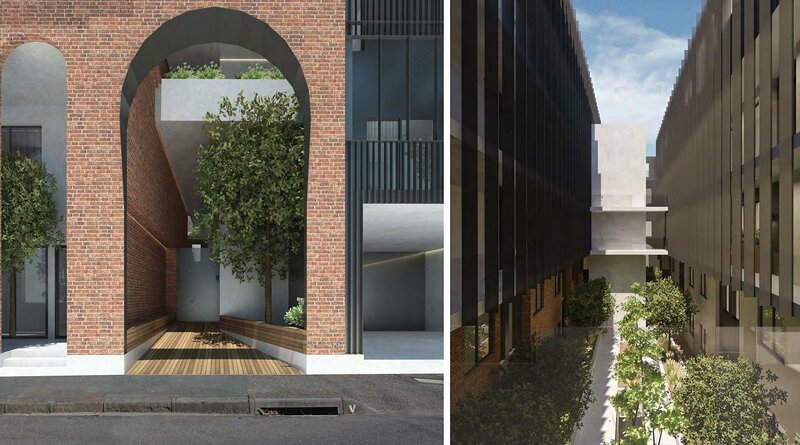 A stone's throw away, both 51-61 Hardiman Street and 28-32 Albermarle Street are at planning and combined could potentially add a further 92 dwellings to this emerging development pocket. Isolated higher density developments such as 2-22 Gatehouse Drive and 265-271 Racecourse Road will likely add to Kensington's future apartment stock, but the area most likely to see pronounced development is a stretch of land alongside Hobsons Road that is now receiving its first taste of construction, by way of River Walk Kensington. A likely construction hot spot in years to come, the vast stretch of land fronting Hobsons Road is adjacent to the West Melbourne Waterfront urban renewal project. Small pity. I've always quite like the thing it's replacing. That's not an argument to keep it. Allied Mills up the road have also put out feelers to sell that huge site, but it remains zoned commercial. How could you possible see appeal in what's there now? @Mark Baijak , what possible appeal do you see in every other generic all glass apartment tower? What has "all glass towers" go to do with anything? This is about what's there now -which is not exactly amazing- and what will replace it. Where is the "generic, all-glass tower" that you speak of?